We are NDIS Approved. Contact us for more information. Click here to Download and Print our Menu! Katrina’s Kitchen have been producing quality home-style meals to the Melbourne public for more than 30 years. Our extensive menu provides variety to suit all tastes, and the generous serving size accommodates all appetites. The meals are cooked from the finest ingredients and are cooked with a view to retain their flavour and nutrition, and then frozen, sealing in their freshness and flavours. 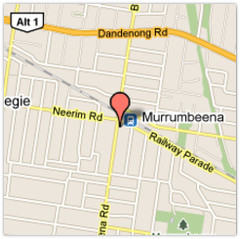 Meals can be purchased from our shop in Murrumbeena or alternatively can be delivered over the Melbourne metropolitan area. For delivery, Check the delivery page for the day we are in your area, or contact us for further information. Orders are a minimum $60 and can be placed up to 12pm the previous business day. If you have any queries please contact us, We look forward to hearing from you! This special is for pick up only not for delivery.